This dish is hearty, deliciously satisfying, and super easy to make – it’s a variation of traditional Mexican tortilla chicken soup. Suprising, even though I lived in Arizona where Mexican food is amazing and bountiful, I didn’t make this soup until I got back to Canada. I guess it’s the cold dark winter months that’s got me craving a taste of sunny Scottsdale, which is warm and wonderful this time of year. Dear Scottsdale, I miss you. Send over some summer while I make this soup and remember the good times we had together. PS – make this soup ahead of time and reheat mid-week with a grilled cheese sandwich or quesadilla for a fast comfort food dinner. I happened to find some colourful carrots at the market over the weekend, but normally I would use regular carrots. 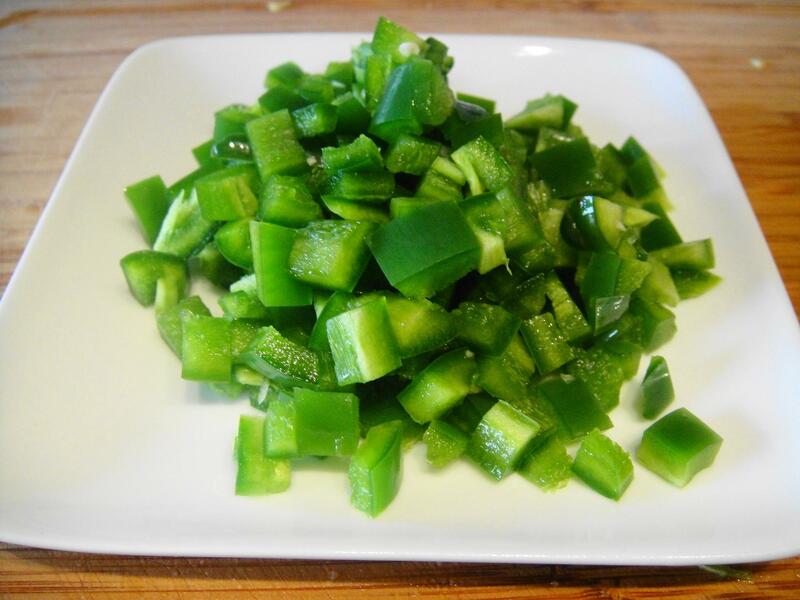 And that may look like a lot of jalapeno, but this recipe makes quite a bit of soup and it adds a nice flavour and not a lot of heat. Also, when using canned tomatoes for this soup, get the crushed kind if possible. I only had whole tomatoes in my pantry, so I did a little puree after it was done to break up the big chunks. 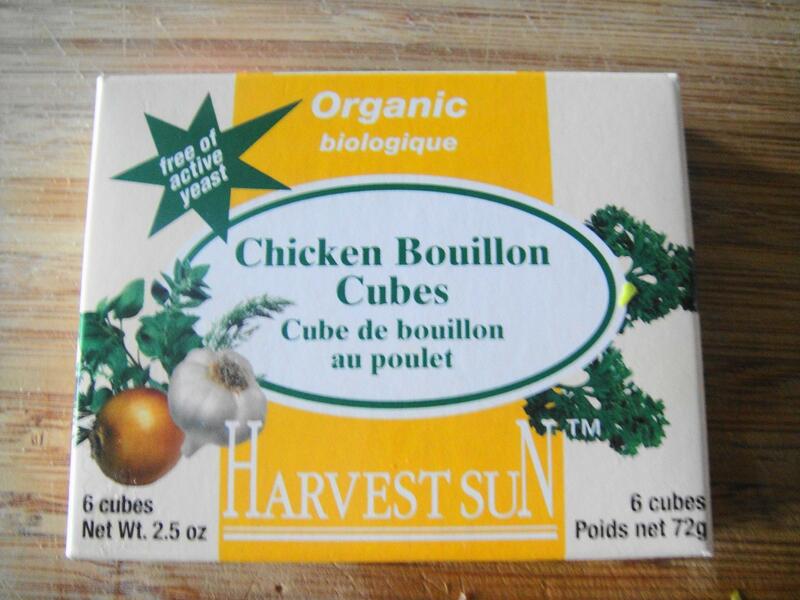 Lately, I’ve started using organic chicken bouillon cubes – no msg. This recipe was based on Ina Garten’s ‘Barefoot Contessa at Home’ cookbook and she’s got a great recipe for homemade chicken stock. If I had more time and freezer space, I would make buckets of homemade stock. But for now, these cubes are a life saver. PS – this brand has a ridiculously high amount of sodium, so maybe try one that has less or use less of it. Not a fan of shrimp? Chicken is the traditional way to serve this soup and store-bought roasted chicken is a great way to easily switch it up. Just shred the chicken breast and add it in when the recipe calls for shrimp. Or throw in some canned black beans for a vegetarian option. 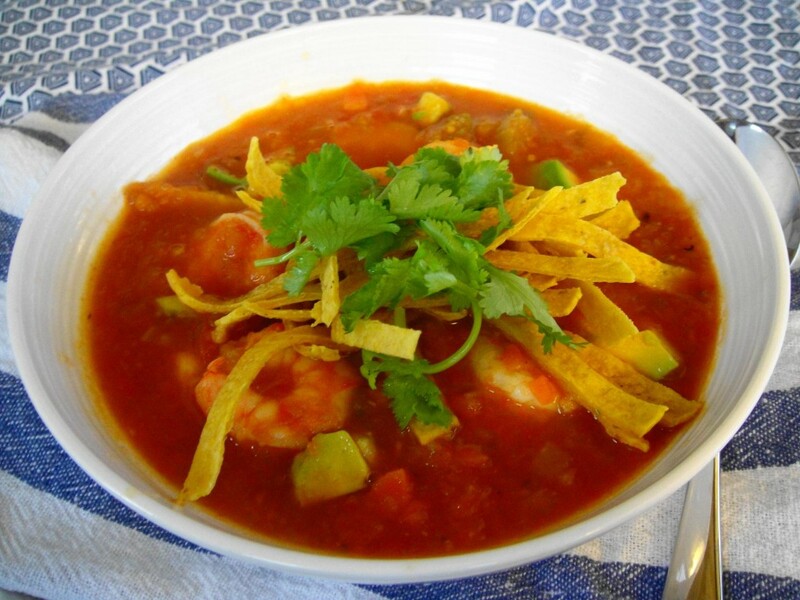 Either way, it’s a belly warming delicious soup that will wipe your winter blues away without packing on the pounds. In a medium pot, bring water to boil and add chicken bouillon cubes to make stock. Set aside. 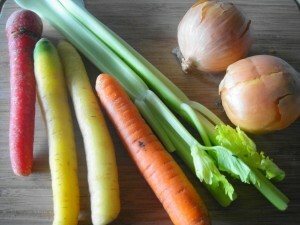 In a large stock pot, heat olive oil and add onions, celery and carrots. Cook on medium low heat for 10 minutes or until onions start to brown. Add garlic and cook for 30 seconds. 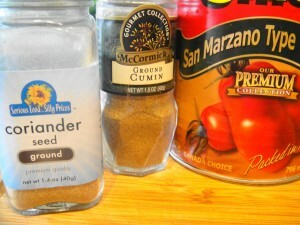 Add stock, canned tomatoes with juices, jalapenos, cumin, coriander, and ground black pepper. Add half the tortilla strips and stir to combine. Bring to a boil and lower heat to simmer covered for 25 minutes. Stir in chopped cilantro. Taste and add salt if needed. Before serving, add the shrimp to the soup. The shrimp will be cooked after two minutes or when shrimp pink. To serve, add cubed avocado and garnish with remaining tortilla strips and fresh coriander sprigs. Add a dollop of sour cream, grated cheddar cheese and broken corn tortilla chips if desired. 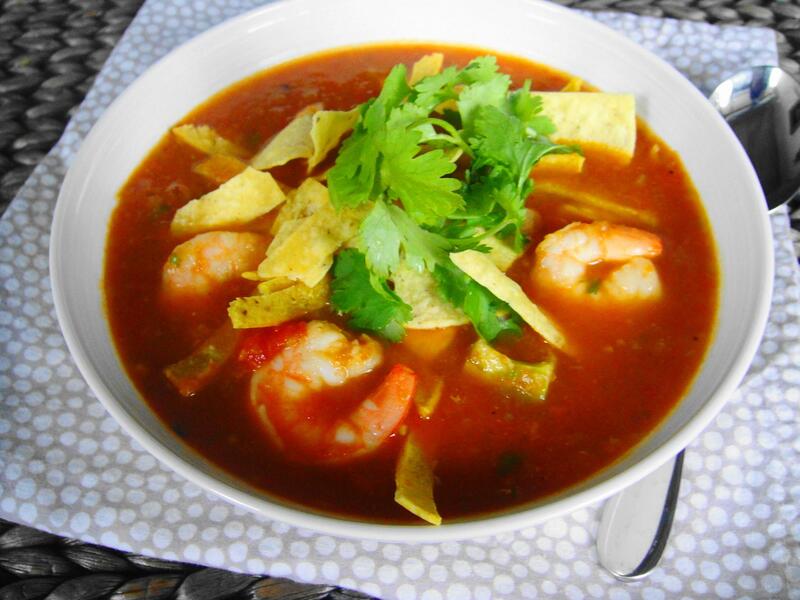 Awesome mexican tortilla soup tonight, loved your recipe Vanessa. We are not huge jalapeño fans, so i subbed that out for sweet peppers plus a few other ” milder spicy” spices, but it was great. The shrimp was awesome in it too. I looked at your pic the whole time to make sure mine was turning out similar as it cooked. Bought zucchini and 75% dark choco to try the muffin recipe this weekend. Take care, have a great night! Thanks Greg! So glad you adjusted the recipe to suit your taste buds. That would be a great kid-friendly option too. Thanks for sharing!